The F2 is a highly intuitive-to-use outdoor electric wheelchair (Segway wheelchair) that opens up new horizons for paraplegic and mobility impaired persons: it allows them to once again live an active life with full mobility – even off the beaten track. The Freee F2 is more than a Segway for disabled people, but in its segment probably the best power wheelchair you can find on the market. The steering rod, seat, and footrest of the Segway Wheelchair Freee F2 can be easily adjusted to the driver’s individual requirements. Thus, good side support and easy accessibility of all relevant control elements are on hand. Furthermore, seat cushion and backrest can be exchanged with customary versions. So, there’s nothing to stop a comfortable, secure, and fatigue-proof ride. 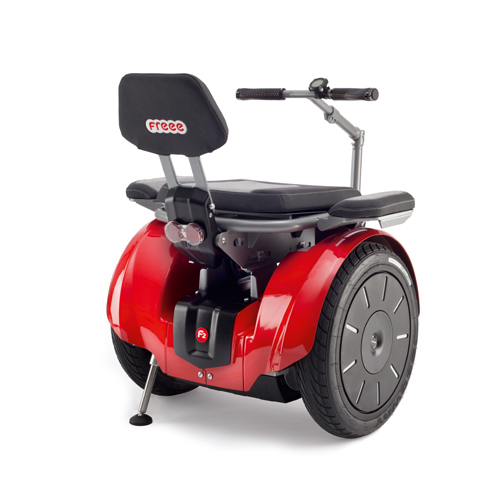 Depending on the terrain, the Segway for wheelchair users Freee F2 has a range of up to ca. 38 km, at a maximum speed of 10 km/h respectively 20 km/h (depending on applicable law). 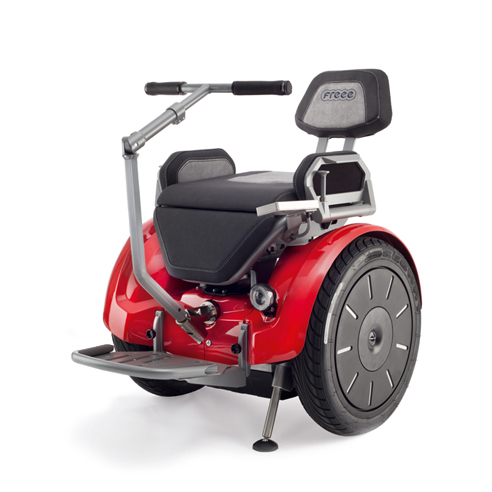 The electric wheelchair Freee F2 can be charged at every electrical outlet. Its consumption is surprisingly low, made possible by consequent energy recovery: During braking and on slope routes, the kinetic energy to recharge the lithium-ions battery is used.